Procrastination refers to wasting time before a deadline. The tendency to procrastinate involves putting off work that must be completed to attain a certain goal, such as watching television instead of working on a term paper. Procrastination has a negative impact on the quality of one’s work and is linked to a variety of negative physical and psychological outcomes. Procrastination lies at the heart of the psychological study of goal attainment. To attain a goal, people must have adequate motivation and ability to perform the necessary actions involved in satisfying the goal. Procrastination is particularly relevant in cultures that are industrialized and place a high priority on adherence to schedules. Philip DeSimone has shown that procrastination becomes a more salient concept as a society becomes more industrialized. Although some researchers have argued that procrastination is a completely modern phenomenon, similar words and concepts related to procrastination have existed throughout history. Ancient Egyptians used words related to procrastination to describe both useful habits of avoiding unnecessary work and harmful habits indicative of laziness that preclude the possibility of completing an important activity. The Oxford English Dictionary states that the word procrastination was frequently used by the early 17th century to describe situations in which people intelligently chose to restrain their behavior to arrive at a better conclusion. Procrastination began to be used as a means of the negative consequences of squandering time before a deadline during the mid-18th century, which coincides with the emergence of the Industrial Revolution. Thus, the tendency to procrastinate has existed for many years but became problematic when societies placed a high priority on faithfulness to schedules. Procrastination is a difficulty that is pervasively reported in everyday settings among people who are otherwise psychologically healthy. 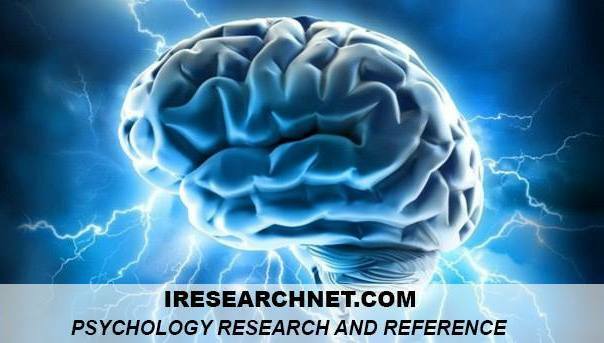 As many as 20% of nonclinical adult men and women report that they chronically procrastinate. And although procrastination may offer people a temporary break from an upcoming deadline, the consequences of procrastination are almost uniformly negative. Chronic procrastination has been linked to low self-esteem, self-control, and self-confidence. Other research has shown that chronic procrastinators are more likely than are non-procrastinators to have increased levels of depression, anxiety, perfectionism, self-deception, and noncompetitiveness. Compared with nonprocrastinators, chronic procrastinators also show signs of dysfunctional impulsivity, suffer more ill health effects, and tend to score low on measures of the Big Five factor of Conscientiousness. People who procrastinate on a regular basis make inaccurate predictions of the amount of time needed to complete activities and tend to focus on past events rather than anticipating future events. Thus, chronic procrastination is related to a wide variety of negative physical and psychological outcomes. In addition to documenting the consequences of procrastination, psychologists have investigated the possible reasons why people procrastinate. One explanation is that people procrastinate to protect their self-images from the negative consequences that accompany poor performance. From this perspective, placing a barrier in the way of completing a task (by procrastinating) can allow the person to explain the causes of their behavior in a positive or negative manner. If the person procrastinates and performs well on a task, then the person can explain the causes of the successful performance as having the ability to overcome an obstacle. If the person procrastinates and performs poorly, in contrast, then the person can explain his or her performance by the procrastinating behavior that caused the person to perform at a suboptimal level. Some research has shown that behavioral procrastination is related to the extent to which people place barriers in the way of completing activities to manipulate whether their performance can be explained positively or negatively. Joseph Ferrari and Dianne Tice showed that chronic procrastinators engaged in procrastination when an upcoming task was evaluative and potentially threatening. Thus, one possible cause of procrastination is that people place barriers in the way of their goal to minimize the negative impact of possible poor performance. Another possible cause of procrastination is a sense of self-uncertainty early in life. According to this perspective, the bonds that people form with their primary caregiver from an early age can influence the degree to which people procrastinate later in life. People who grow up knowing that their caregiver is loving and responsive are less likely to procrastinate later in life, whereas people with a less secure attachment to their primary caregiver are more likely to procrastinate later in life. Other research has demonstrated that children raised by overcontrolling parents are more likely to procrastinate later in life than are children who were raised by noncontrolling parents. These findings suggest that insecure attachment to primary caregivers at an early age is associated with a tendency to procrastinate later in life. Researchers have recently begun to explore prevention strategies that may reduce the negative consequences of procrastination. 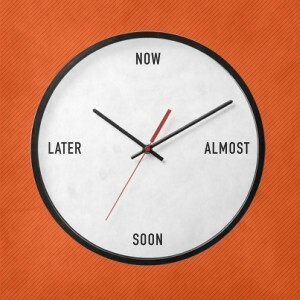 One strategy is to teach chronic procrastinators to restructure their mistaken thoughts regarding goal completion. Chronic procrastinators rely on thoughts that either increase task anxiety (e.g., “It’s hopeless to complete this task”) or decrease task anxiety (e.g., “I’ll do it tonight, so I don’t have to worry”). Teaching chronic procrastinators to identify and challenge these anxiety-producing thoughts may reduce the likelihood of continued procrastination. Another treatment strategy has been to boost concern and forethought for behaviors. As noted earlier, chronic procrastination is associated with low scores on the Big Five factor of Conscientiousness. Ferrari and colleagues have demonstrated that putting emphasis on the existent pattern of self-deceptive thinking aids in the reduction of procrastination among people low in Conscientiousness. The findings from these prevention strategies, though still preliminary, offer evidence that procrastination and its negative effects can be reduced. Ferrari, J. R., Johnson, J. L., & McCown, W. G. (1995). Procrastination and task avoidance: Theory, research, and treatment. New York: Plenum. Tice, D. M., & Baumeister, R. F. (1997). Longitudinal study of procrastination, performance, stress, and health: The costs and benefits of dawdling. Psychological Science, 8, 454-458.